This will provide peace of mind to prospective clients and protect you from summary elimination early in the process, allowing you to focus on your core services. Building even the simplest proprietary software that meets the high standards of SOC 2 can be costly–up to $100,000 or more, requiring personnel with domain knowledge, high-quality equipment, and a significant investment of time. Upgrades will become necessary as the certification standards evolves and as new clients sign on, and at least four full-time employees would be required just to maintain the software. 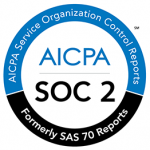 DataCare’s platform and business practices are already SOC 2 certified. We handle the regular audits and any necessary updates–all as part of our low standard fees.